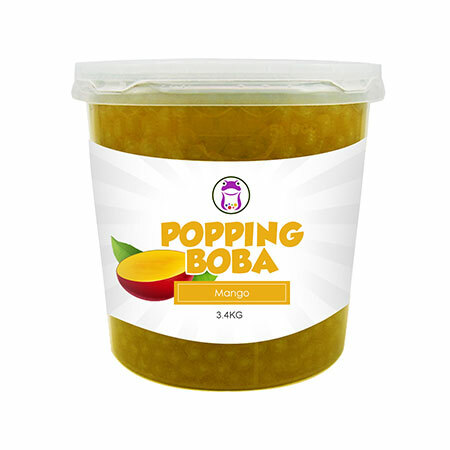 We are Taiwan manufacturer, supplier, exporter and factory of rich quality Popping Boba Mango products. we have more than 8 years special production experience strict process control standards. Welcome to order our products and we are looking forward to serving your demand. If you have any inquiries and suggestions, please feel free to contact us. Mango Flavor Conc. Juice is the main product that we recommand. Taiwan is famous for producing mangoes, and mango ice products are even much more famous far and wide. Popping Boba-Mango Flavor Coating Juice is light-orange color, with bright and smooth surface. When biting the boba, mango juice is flowing out into your mouth. Sweet mango juice makes various kinds of tea appreciation. Regardless of extract tea or fruity tea, adding Popping Boba-Mango Flavor Coating Juice could be perfect fusion. Even adding in smoothie, milkshake or snow ice enrich the flavor and vision. lifting the spirtis and with lasting aftertaste. Popping Boba-Mango Flavor Coating Juice is made of Mango Conc. Juice, suitable for various of drinks and as topping for frozen yogurt.